Hazardous Waste Experts can assist you in the storage, transportation, removal and disposal of hazardous waste. Call today for a fast quote with no obligation. 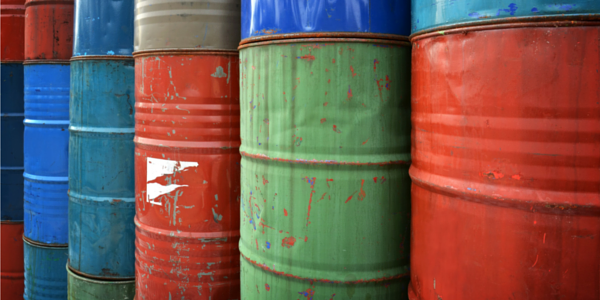 Hazardous waste management – including waste audits, profiling, and minimization. Hazardous waste recycling – reclaim, reuse or beneficial reuse of used solvents and other chemicals. Hazardous waste disposal – disposal under RCRA guidelines for each waste stream. Follow these procedures for selecting containers and safely storing hazardous waste at your facility. If you have any questions, or need assistance, call Hazardous Waste Experts at 888-681-8923. What is a “labpack” and do I need one? Many facilities such as laboratories, hospitals, and schools use a variety of chemicals is small quantities (usually less than 10 gallons of each). Packing the labpacks into larger hazardous waste approved drums. Is it “hazardous” or “extremely hazardous”? Procedures and requirements are different for hazardous and extremely hazardous chemical waste. Label the area with a “Danger – Haz Waste” sign. Do not mix solids with liquid waste. Containers found to contain solids during processing by EH&S haz waste technicians will be returned to the generator for separation. See guidelines for solid chemical waste below. Accurately list the bag’s contents and chemical constituents on the haz waste tag. Hazwaste disposal of empty containers depends on the container size, what it is made of, and the hazardous material it once contained. Contact Hazardous Waste Experts, (888) 681-8923, if you need assistance with unknowns. Time: All haz waste must be collected within 90 days from when waste is first put into containers. When 55 gallons or more of haz waste accumulates, the waste must be collected within 3 days. Hazardous Waste Experts is the choice for fast, compliant, low-cost and sustainable solutions to your haz waste disposal challenges. We are experts in disposal of pesticides, hazardous materials (hazmat), and toxic waste as well. We provide haz waste services across the entire United States. Our team of experts and specialists, coupled with a broad array of partners, make us the number one choice for on-call hazardous waste removal and disposal services. We handle all waste types from industrial, commercial, institutional and healthcare facilities. In addition to haz waste disposal, we offer solutions for pesticides, toxic waste, and comprehensive environmental sustainability consulting services to address unique challenges.